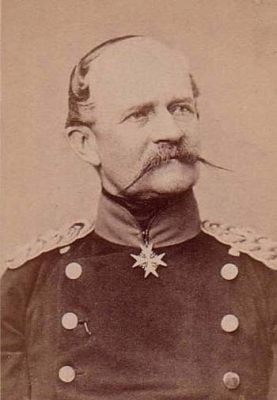 Karl Prinz von Württemberg was born on 7 March 1809 at Stuttgart, Baden-Württemburg, Germany. He was the son of Paul Heinrich Karl Friedrich August Prinz von Württemberg and Katherine Charlotte Georgine Prinzessin von Sachsen-Hildburghausen. He died on 28 May 1810 at age 1 at Stuttgart, Baden-Württemburg, Germany. [S12] C. Arnold McNaughton, The Book of Kings: A Royal Genealogy, in 3 volumes (London, U.K.: Garnstone Press, 1973), volume 1, page 225. Hereinafter cited as The Book of Kings. Pauline Olga Helene Emma Prinzessin von Württemberg was born on 19 December 1877 at Stuttgart, Baden-Württemburg, Germany. 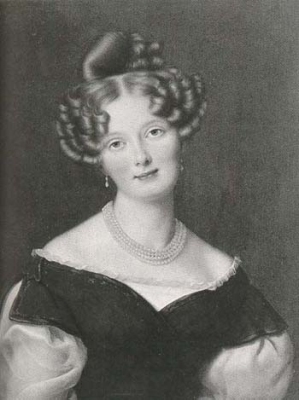 She was the daughter of Wilhelm II König von Württemberg and Georgine Henriette Marie Prinzessin zu Waldeck und Pyrmont. She married Friedrich Wilhelm Hermann Otto Karl Fürst zu Wied, son of Wilhelm Adolph Maximilian Karl Fürst von Wied and Marie von Nassau, Princess of the Netherlands, on 29 October 1898 at Stuttgart, Baden-Württemburg, Germany. She died on 7 May 1965 at age 87. [S12] C. Arnold McNaughton, The Book of Kings: A Royal Genealogy, in 3 volumes (London, U.K.: Garnstone Press, 1973), volume 1, page 226. Hereinafter cited as The Book of Kings. Florestine Grimaldi, Princesse de Monaco was born on 22 October 1833 at Fontenay, FranceG.1 She was also reported to have been born on 2 October 1833. She was the daughter of Florestan I Grimaldi, Prince de Monaco and Maria Caroline Gibert de Lametz.1 She married Wilhelm Herzog von Urach, son of Wilhelm Friedrich Herzog von Württemberg and Wilhelmine Baronin von Tunderfeldt-Rhodis, on 16 January 1863 at MonacoG.1 She was also reported to have been married on 15 February 1863 at MonacoG. She died on 4 April 1897 at age 63 at Stuttgart, Baden-Württemburg, Germany.1 She was also reported to have died on 24 April 1897 at Stuttgart, Baden-Württemburg, Germany. She gained the title of Princesse Florestine de Monaco.1 Her married name became von Württemberg. [S12] C. Arnold McNaughton, The Book of Kings, volume 1, page 237. Nikolai von Hohenzollern-Sigmaringen, Prince of Romania was born on 18 August 1903 at Castle Pelesch, Sinaia, RomaniaG.1 He was the son of Ferdinand Viktor Albert Meinrad von Hohenzollern-Sigmaringen, King of Romania and Marie Alexandra Victoria Saxe-Coburg and Gotha, Princess of Edinburgh. He married, firstly, Joana Lucia Dumitrescu-Dolete, daughter of Ion Dumitrescu-Tohani and Princess Nella Theodorescu Tchkotoua, on 24 October 1931 at Tohani, RomaniaG.2,3 He married, secondly, Thereza Lisboa y Figueira de Mello, daughter of Jerónymo de Avellar Figueria de Mello and Candida Riberia Lisboa, on 13 July 1967 at Lausanne, SwitzerlandG.1 He was also reported to have been married on 28 October 1931 at Tohani, RomaniaG. He died on 9 June 1978 at age 74 at Madrid, SpainG.1 He was also reported to have died on 9 July 1978 at Madrid, SpainG. [S3] Marlene A. Eilers, Queen Victoria's Descendants, page 192. [S12] C. Arnold McNaughton, The Book of Kings: A Royal Genealogy, in 3 volumes (London, U.K.: Garnstone Press, 1973), volume 1, page 91, says 7 Nov. Hereinafter cited as The Book of Kings. [S12] C. Arnold McNaughton, The Book of Kings, volume 1, page 91.